Agreement • Caretaker will plead guilty to three misdemeanor counts. | Courtesy of Sam Brower, author of "Prophet's Prey." 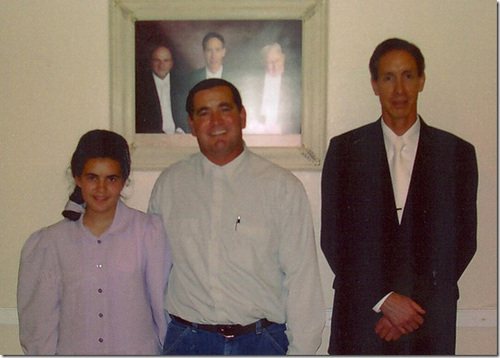 Teresa Steed, Nathan C. Jessop, and FLDS President Warren Jeffs pose in this undated photo seized as evidence by Texas law enforcement. | Courtesy of Sam Brower, author of "Prophet's Prey." 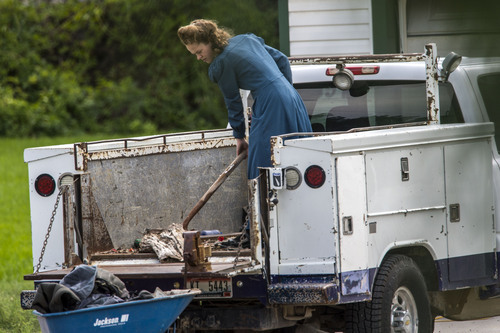 Nathan C. Jessop Chris Detrick | The Salt Lake Tribune A woman works on Wednesday, Aug. 20, 2014, outside the home near Pocatello, Idaho, where authorities removed nine FLDS boys. Their caretaker, Nathan C. Jessop, has been charged with three misdemeanor counts of child abuse. Pocatello, Idaho • Six boys sent to repent with a follower of the Fundamentalist Church of Jesus Christ of Latter-Day Saints were reunited with their parents earlier this month after Idaho dismissed their custody cases. State officials had removed the six boys and two others from the home of caretaker Nathan C. Jessop, who is expected to plead guilty to three misdemeanor counts of injury to a child. Five of the six boys who were returned to parents left state custody over the objections of an attorney appointed to represent the children; the lawyer said he feared that the influence of the FLDS church posed a danger to those sons. The other two boys taken from Jessop&apos;s home, both teenagers, remain with a foster family, because the boys did not want to return to their mother and the church, according to discussions during a custody hearing on Aug. 11 in Pocatello. A Salt Lake Tribune reporter attended the hearing, but 6th District Magistrate Judge Bryan Murray later barred the reporter and The Tribune from reporting what was said in court. On Thursday, Murray narrowed his order to prohibit the newspaper only from reporting the children&apos;s names. The Bannock County Sheriff&apos;s Office and Idaho child protection authorities found that nine boys were living in Jessop&apos;s Pocatello home in July. A report from the sheriff&apos;s office suggests the boys ranged from age 12 to 17. Eight of the boys were placed in state custody. One boy was not located, Bradley Willis, the court-appointed attorney for the children, said this week. On Thursday, attorneys for Jessop, 47, and prosecutors reached an agreement to resolve charges against him. Jessop will plead guilty to three misdemeanor counts of injury to a child, said Bannock County Deputy Prosecutor Ashley Graham. He will serve 10 days in jail and must complete two years of probation. Sentencing is set for Sept. 30. Jessop appeared only briefly at the courthouse. His attorney, Ron Tyler Bird, did not speak to reporters Thursday. The boys told investigators, according to the sheriff&apos;s report, that they hadn&apos;t seen their parents in up to two years and some hadn&apos;t spoken to their parents on a telephone in 10 or 11 months. But mothers of the eight boys appeared at the Aug. 11 hearing, joined by the father of two boys. 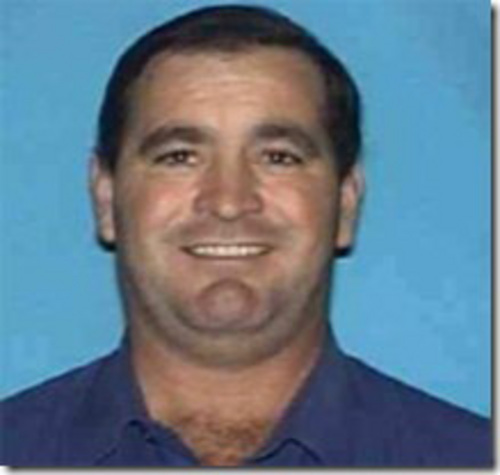 Willis objected to dismissing seven of the cases. He said there was still a danger to the children, based on the influence of the FLDS church. Willis told Murray that the parents of those seven boys "for their own reasons have failed to protect their children." Willis did not object to releasing a 17-year-old boy to live with his father in Colorado. Willis said that boy was old enough that he should be able to ignore FLDS influences if he chooses. In an interview on Wednesday, Willis said he did not fault Murray for returning other boys to their parents, saying there was little the judge could do after the state dismissed the cases. Willis has said the Idaho Department of Health and Welfare seemed concerned about saving money and avoiding a court battle over religious rights. Lawyers representing the department in the Aug. 11 hearing said inspections of the parents&apos; living arrangements did not show any problems. Murray asked each mother and the lone father whether he or she was ready to be a parent. Each answered yes. "I have always been their parent," replied the mother of a set of brothers. Dialogue between that woman and the judge indicated she was Jessop&apos;s sister. Bannock County sheriff&apos;s reports said some of the boys living with Jessop were his nephews. "I know of my brother&apos;s integrity," the woman told Murray. "He had authority to do as he did." Murray also asked each parent whether he or she would educate their children. Each answered in the affirmative. The sheriff&apos;s report said the boys were being home-schooled by one of Jessop&apos;s stepmothers, but a sheriff&apos;s detective said that education appeared to stop when the boys were old enough to pursue a GED diploma. Murray also asked the parents what they were doing for work or if they had financial means to care for the children. One mother said she had taken a job as a nurse. Another said her son was receiving a death benefit from his late father. A pair of brothers did not want to return to their mother. Murray ordered them to remain in foster care, but the mother was allowed to have visits. Jessop and the boys had been sent on "repentance missions" by FLDS President Warren Jeffs or his brother Lyle, the boys told investigators. Jessop&apos;s three counts of injury to a child stem from him allegedly failing to report that two boys had run away. One of those boys, the police report said, was his son. The third count stems from an allegation that Jessop locked one boy in a furnace room for up to two days. As the Aug. 11 hearing drew to a close, Murray had instructions for everyone. "Remember, these kids are our future," the judge said. "We need to get them educated; keep them healthy."